A collection of my favorite photos capturing the rollerblading scene of New York City. The I Roll NY 2012 Yearbook documents the lifestyle and culture of the bladers who traveled along with me around our city throughout the year. View the mobile version here. “Where do we go from here? Sounds like a question you ask yourself when you break up with your girlfriend or get caught stealing from your neighborhood Wal-Mart. Well, in this case it’s not that type of question, nor is it that awkward kind of situation (no police or girls involved… okay, there was a girl involved). But it was a question that was on my mind. I’d just landed in NYC, home of many amazing legendary skaters like Franco Cammayo, Billy O’Neill and Alex Nunez. However, I did not intend on moving to NYC at all when I took a job in New Haven, CT, in June. I was plucked from the skating training grounds of Los Angeles to work as a video host for a new Webseries. The Webseries was to center around the making of a brand-new feature length film called “College Musical The Movie.” I previously knew the producer/writer/director and actors from going to school with them at Yale University. Who you know really is so important. Working as camera man, producer, and host of a Webseries is pretty much a 2x full time job, although I did get to sneak away to the New Haven skatepark every now and again. I would also like to add I was hired for the job because of a skating Webseries Brazil and I put together in Chicago. In fact, I learned entirely about production from working on productions with Brazil. That guy stays busy” – Nick Uhas. Full Stury on the ONE Magazine website. The New York City based graffiti / action sports / street culture magazine, The Art of Storytelling, featured rollerblading legend Jon Julio in their premiere issue and the article is now online. Issue 2 will feature an interview with legend Arlo Eisenberg so stay tuned. In the meantime check out the TAOST Jon Julio article here. 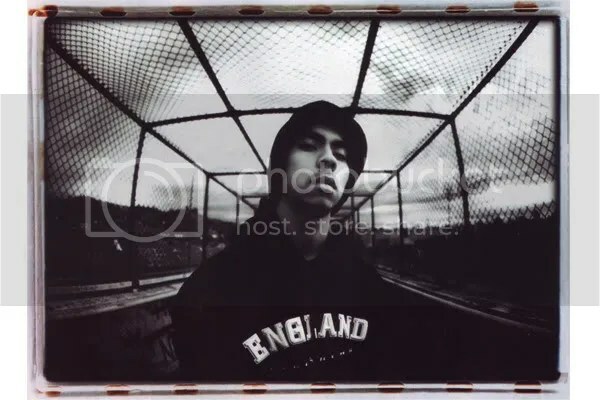 “…During this time period, I was also working with a bunch of music artists like Sage Francis, Sole from Anticon, and Masta Killa from the Wu-Tang. I was making a DVD surrounding all those artists and rollerblading. I was organizing concerts/shows with these artists for skating related events. On the flip side of it all, the popularity of blading was at an all time low. Blading was dropped from the X Games and TV exposure was none existent. I was only getting older and I was at a point where I needed to pick a direction to go” – Jon Julio. Balance, Be-Mag’s online magazine, released their one year anniversary issue featuring a scene report on the Rochester, NY scene. “One year anniversary, 86 page issue featuring: Louie Zamora, Michael Braud, ROC City, Infernal Clothing, Blake Taylor and much, much more!” – Be-Mag. Check out the full issue here. Josh Diaz of Psyko Clothing publishes his fifth photo journal on ONE Magazine’s website featuring Dave Ngo at the Redhook ledge in Brooklyn, NY. “Well, it was our first day of spring here in New York, and after fabulous weather during the week, me, Jose Disla, Jon Ortiz, Dave, and a few other New York rollers came out to roll at the Red Hook ledge, which by far is one of the best ledges Brooklyn has to offer. After the guys had been tearing it up for about an hour, I decided to take off my blades and set up my gear. It’d been a few months since I’d shot any photos, and for this I was using the oldest of the old — a Nikon d1 that my wife got for me. Just know that this thing was old… about 10 years old. It was the most difficult thing to get used to. But I made it work out. This is the shot that I love the most from the spot, and I hope you all enjoy it. I should be getting my camera back from the shop soon, so thank god, and my wife. I will be out in Santee in the middle of May, so I’ll see you guys on the West Coast soon” – Josh Diaz. Billy O’Neil wrote a great article on the progression of skating for ONE Magazine revealing his thoughts and his personal experiences within skating. Check the article out here or just keep reading below. “To watch evolution is amazing. Since I started skating, I have been lucky enough to watch and be part of one of the most progressive and innovative ’sports’ that the world has to offer. During this period of time, rollerblading as we know it went through a vast change, going through innovations in skate technology and trends. Skates were getting better, and skaters were becoming more aware of how they presented themselves. 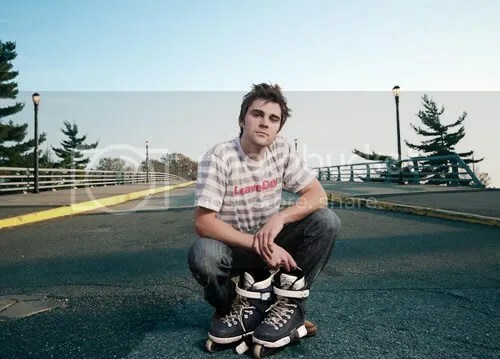 What was once an entire group of guys skating Tarmacs, wearing wide-legged jeans with chain wallets, became something more. The stereotypical ideal of what a skater was supposed to look like became harder to pinpoint. These trends transitioned through a few different phases, and some of your favorite skaters grew into their present day personas before our eyes. Today, I look at what rollerblading has become and I am amazed. There’s more style and diversity than I’ve ever seen. We as a community should be celebrating these things and being proud of rollerblading and how far it’s come and will continue to grow. In my eyes, we are at our peak and continuing to mature and present ourselves better as a community, year by year. We are all a part of that evolution. 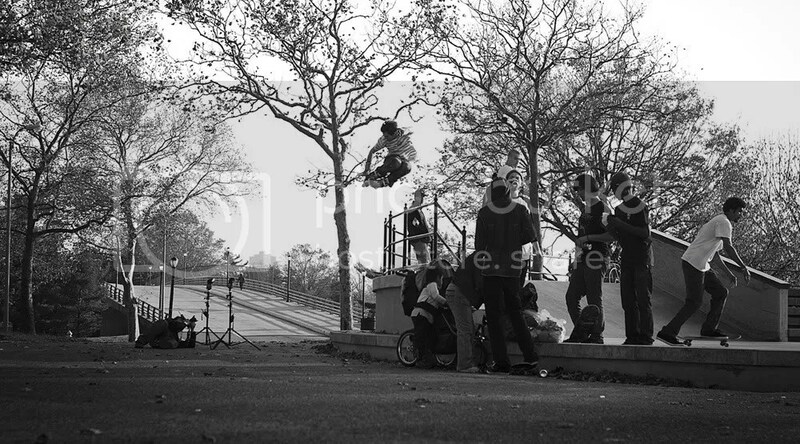 ONE Magazine posted up a Blade Life interview with NJ skater Erik Stokely. The interview is a good read but what stood out to me was the photo at the Chinatown up ledge in Manhattan, NY. Photographer John O’Donnell captures Erik Stokely doing a truspin mistrial 360 out at the perfect moment. See more photos and the interview at ONE’s Blade Life page. Brooklyn’s own Josh Diaz has been featured for his third time in the ONE Magazine Photo Journal. New York has been represented well so far in their photo journal and Josh keeps the trend going by featuring this HDR pic of Psyko team rider Miguel Ramos lacing an AO Top Acid on this relatively unknown Brooklyn spot. “I remembered going to this crazy-looking spot with some skaters from Long Island this summer, and told Miguel about it, so we head out. After two hours in Manhattan traffic we got there and got so upset because there were a whole bunch of trucks parked in front. After long negotiations with the drivers we got them to move the trucks, and they let us skate for a few shots” – Josh Diaz. Read the rest of the article at the ONE Photo Journal page. Jon Julio has been featured in an up and coming NYC based magazine. There will be a party next weekend for it’s premiere so go and show your support. Info on the flyer above. “Jon Julio is featured in the premiere issue of The Art of Story Telling Magazine. A graffiti/action sports/street culture magazine based out of New York City. Other interviews also featured; Bigfoot, Aest, Derek Riggs, Mike Vallely and more. The jump off issue of The Art of Storytelling is 96 pages of pure content. It will be on all major newsstands in the US and Canada and in boutiques throughout Europe. TAOST can be found at Barnes and Noble, Borders, and Hudson News. Catch the mag on news stands this month. There is a premiere launch party in Manhattan, New York at Max Fish” – Valo.